Summer is here in the Northern Hemisphere and my children are loving the extra outdoor time. They’re a little older this year (as time seems to go) and therefore a little more independent and don’t need to be supervised every minute, which is nice for all of us. My children are quite good at coming up with ways to entertain themselves, but I’ve created this list of things to do with sidewalk chalk to bring out when they’re looking for something new to do. We’ll work our way down the list as the summer progresses. 1- Draw a picture. Stick with the basics, there’s nothing wrong with tried and true fun! 2- Play Pick And Draw, the kids will have so much fun making interesting faces, their sketches will be sure to put a smile on the faces of anyone who sees the outcomes! 3- Hopscotch, another classic outdoor summer game. 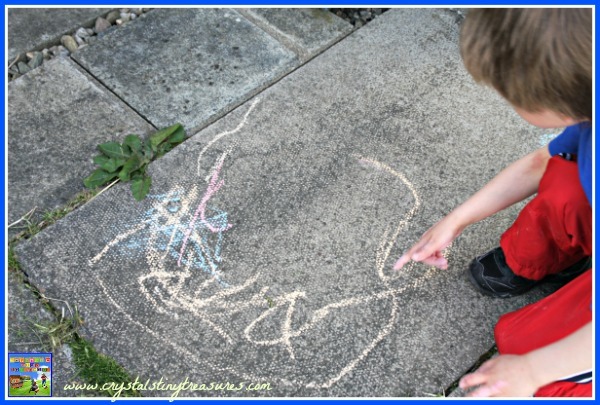 It will combine the fine motor skills of drawing the board, with the gross motor skills of throwing a rock or beanbag and hopping. 4- Target practice. Draw a target (or several of different shapes, sizes, and distances) and then have fun tossing a rock or beanbag into the target. 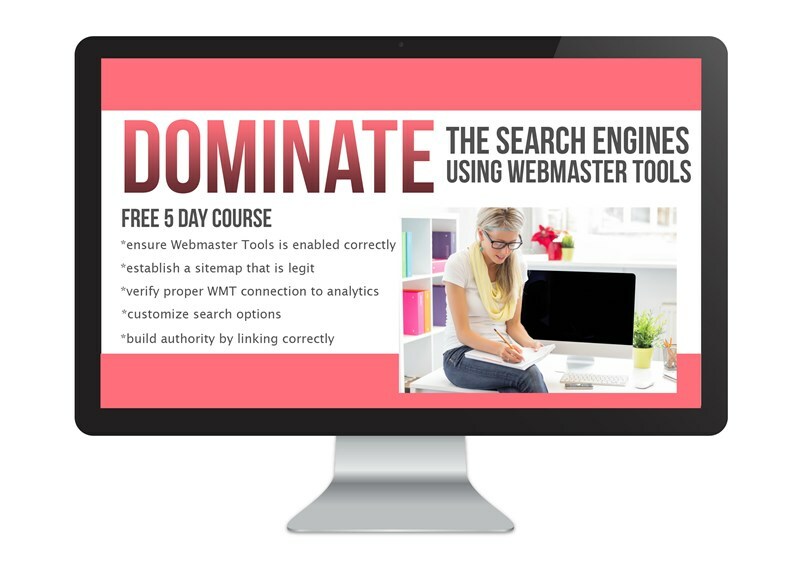 Give the targets point value and you’ve snuck in some math skills practice at the same time! 5 – Trace your child’s shadow and give features to it. Create a background to the character; age, likes and dislikes, how they came to be in your neighbourhood, etc. If you’re children are a little older they could do a little creative writing assignment and create an entire story. 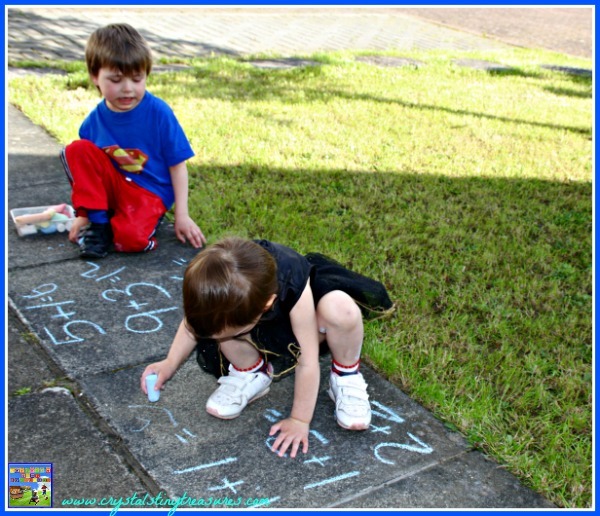 6- To mix things up a little, keep your children’s math skills sharp over the summer by writing some equations on the sidewalk for them to do. My children really loved the novelty of this ‘game’ and want to do it again! 7- Spelling. Practice spelling new words, or even nonsense words. 8- Play a game (or 10) of Tic Tac Toe with the kids. The overall winner can choose the afternoon’s snack. 9- Surprise Daddy, Grandma, or a neighbour and leave a kind message for them on the sidewalk. Thank them for something they’ve done, or just for being them. 10- Trace a shadow of your child, or another object over the course of the day from the same place. As a side-note, don’t forget to keep the kids hydrated while they are out having fun! 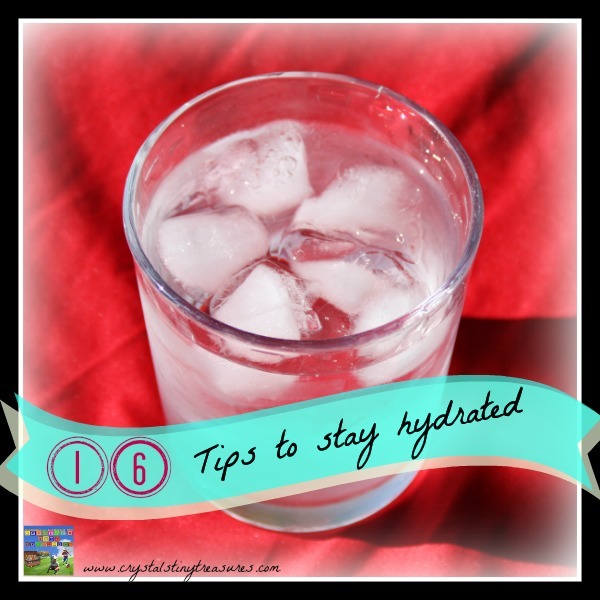 Here are my top 16 ways to keep kids hydryated. 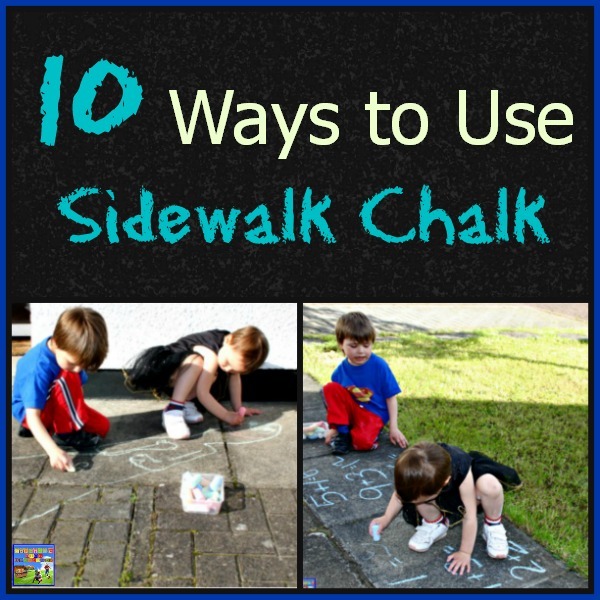 There are endless ways to use sidewalk chalk, how do your children like to have fun with it? 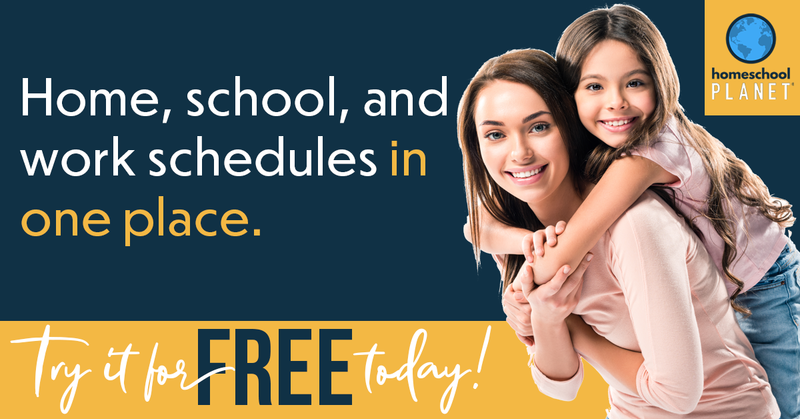 I’d love to know so that I can be prepared with a new list for them next year! Please have a look at our page on Summer Fun for more ideas to keep the kids busy this year. 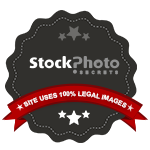 Subscribe by e-mail, Facebook, Google +, Twitter, Pinterest, Bloglovin or your favourite reader. Ours has used a lot so far this year. Last year the kids weren’t interested in it at all but we’ll soon have to buy more, too! Have a super summer! Very fun! 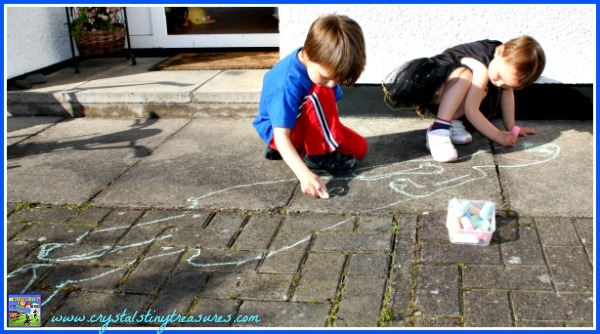 We use chalk all the time, so this gives me some good inspiration for more activities to keep the littles occupied. Thanks! Great to hear that your kids like chalk! It’s one of those inexpensive, low-maintenance, high creativity items that’s great for inspiration and an afternoon of outdoor fun! Keep up the great work! If only we had a sidewalk or pavement….LOL! One thing I’ve been wanting to do for the kids is to make a chalkboard to hang up on the fence. Perhaps that’s something you could do, but have it removable to take down? Or visit a playground and take the chalk with you! I’ve seen some kids do that in our area – the playground tarmac is very colourful! Have a creative summer! My kids love to play with sidewalk chalk. Our pavement area is limited but the privacy fence around our backyard makes a perfect canvas for sidewalk chalk drawings. Thanks for sharing via Family Fun Friday. That sounds like a lot of fun! Well done for letting the kids use a different ‘canvas’ 🙂 Have a great summer! Great ideas! 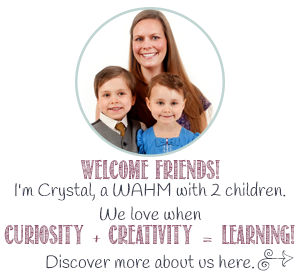 Featuring on Family Fun Friday this Thursday — thanks for linking up! Thank you Carly! You’ve just made our week 😉 I hope our paths will cross again soon. I would never have thought of this and I LOVE the idea! Thank you! I’m so glad you like the idea, Marcy 🙂 Have fun leaving happy messages around the neighbourhood this summer! Pinned! Great ideas, very clever, thanks! Thanks for sharing, Carolyn 😉 This year my kids are out with the chalk every chance they get, it’s great!